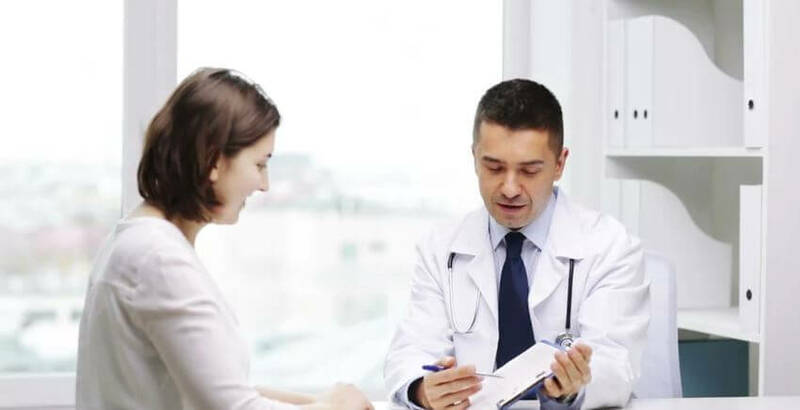 With the advent of the Internet, patients are globally connected and able to access a plethora of resources to research symptoms, procedures, medicines, and most importantly, their doctors. With global connectivity and an active and engaged pool of patients constantly accessing the web, Medical professionals are able to expand their reach, broaden their client base, and robustly build their credibility via our strategic holistic marketing initiatives. This approach is not conceptual. It’s how we currently work with our Physician and Healthcare clients to consistently meet or exceed their online marketing goals. 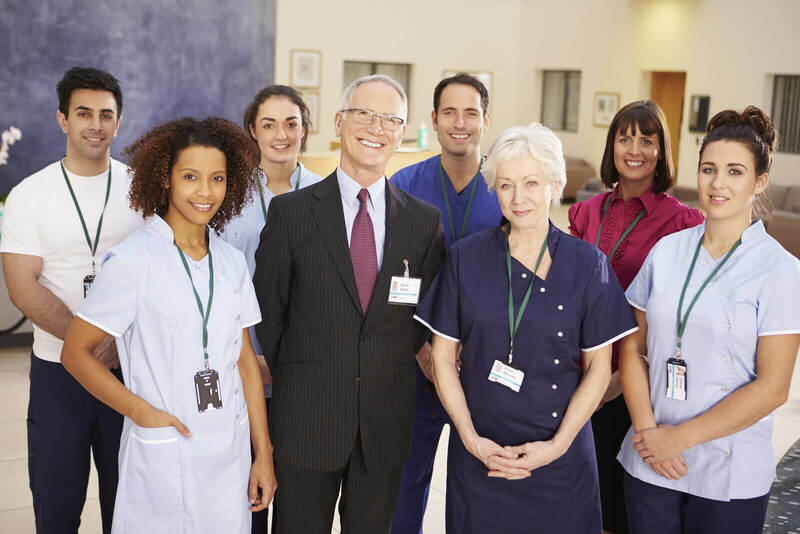 In fact, at Intact Info, our experienced staff understands the specific challenges within the medical industry. From HIPAA compliance to accurate medical copywriting, we ensure that all of the content we create speaks directly to your targeted audience and bolsters your authority as a trusted medical provider and thought leader within your specialty and local area. 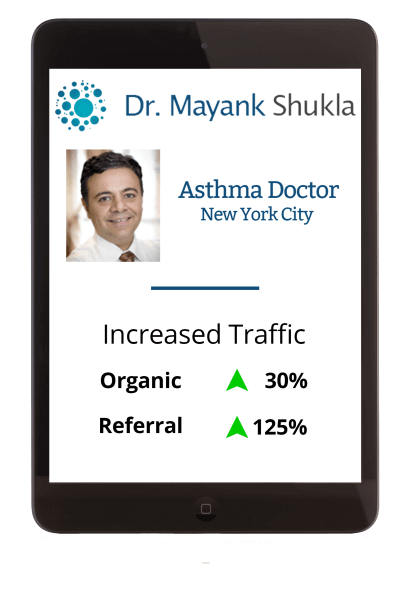 See the wonderful results we provided for Dr. Mayank Shukla in our case study. 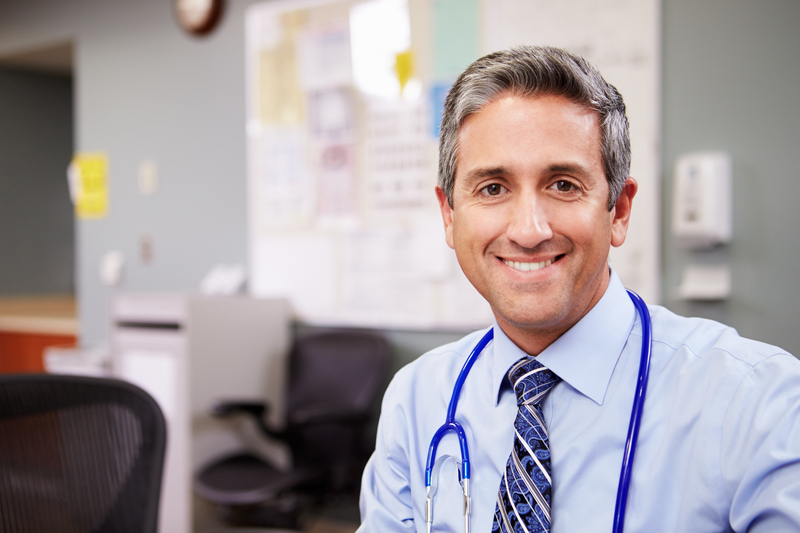 By increasing his overall traffic, we were able to expand his online presence, position him as a leader in his medical field, and ultimately, provide him with more patients. According to Google, 77% of patients use an internet search prior to booking a medical appointment. At Intact Info, we carefully execute search engine optimization and pay-per-click (PPC) campaigns to increase your exposure on primary search engines and social media platforms while simultaneously targeting and capturing your ideal patient type. Every practice benefits from a vibrant social presence. Not only do social media platforms provide more exposure, these channels also create digital marketing synergy by boosting search engine optimization. From paid advertising on Facebook or Twitter, to posting at optimal schedules per platform, to our social influencer and listening services, we help launch your brand by creating buzz around your practice while increasing brand recognition and patient loyalty at the same time. Online reviews for doctors, dentists, and other medical practitioners can make or break a practice. According to Google, 94% of patients say that reputation of a facility is important in choosing a medical care provider. Intact Info can work with you to increase positive reviews while responding and helping to mitigate negative comments.